How do I live with my illness? Why a Genetic Research Laboratory? General assessment at each check up visit, tests interpretation. Tailoring appropriate insulin therapy and other medication for each patient. Early detection and treatment of diabetic complications. Check up. Dental caries prevention. Fissure sealant. Gel fluoride. Individual consultation and follow up. Diabetic group education. Developing skills in insulin injection technique, self-monitoring and daily Diabetes management. Prevention of complications through patient education. Individualized dietary instruction. Periodic evaluation towards a healthy lifestyle. Patient & family Nutrition education, counseling and follow up. Diabetes control through carbohydrate counting skills. Family background information. Social integration of the patients. Recreational activities. Family Counseling and Support. 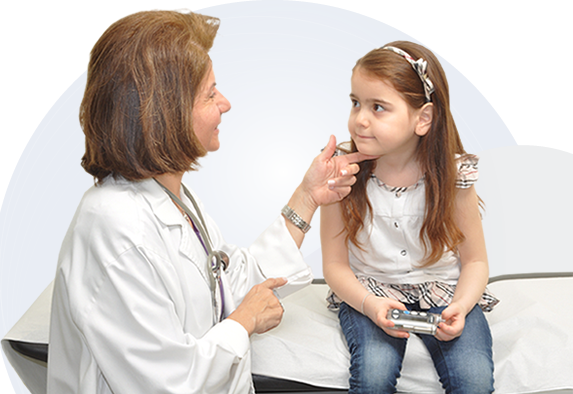 Individualized approach and evaluation of young diabetics. Giving patients and families the necessary help to cope with their chronic condition. Close follow up for needy cases. Dispensing of prescribed medicines and material. Early screening for the first signs of diabetic retinopathy. The Chronic Care Center participated in the launching of "Cities Changing Diabetes" in the City of Beirut. The campaign continues on Facebook and Instagram "Woman and Diabetes"
AUB President, Pr. Fadlo Khuri, visiting the Center. Annual General Assembly of the Chronic Care Center’s Association. Bawassel International Diabetes Camp 2016, Qatar. LWIS-Valley International School visit to the Center. Series of Trainings on beta-Thalassemia at the Genetics Laboratory at the Chronic Care Center. Congratulations Dear President for this third Doctorate! Ecole Hotelière dressed in blue 'Unite for Diabetes"
Blood Donation Campain "HELP SAVE A LIFE" by Malia Group in collaboration with "Donner sang compter"
The Chronic Care Center organized a Workshop on Thalassemia Intermedia Non-Transfusion-Dependent Thalassemia (NTDT). In collaboration with the Lebanese Society of Endocrinology Diabetes and Lipids, the Lebanese Order of Physicians and the Lebanese Order of Pharmacists celebrated the Diabetes Day, at Monroe Hotel – Beirut. The Chronic Care Center family was deeply touched by the death of an eminent member of the Executive Committee and Board of Trustees of the Center, Pr. Fouad Boustany. Christmas Fair at the Chronic Care Center. Launching of the book "The Adventure of Monty"
Regional conference on Advances in the treatment of Diabetes and Thalassemia at the Center. Collaboration agreement between the Center and the Harvard School of Public Health. Visit of Mr. Stephan de Mistoura at the Center. General Assembly at the Center. TIF Board at Palermo, Italy. Opening of the Genetics Research Laboratory at the Center. Lunch of the Center’s friends at the Cafeteria. Seminar on Diabetes with the collaboration of Y.M.C.A and the Ministry of Public Health. Concert Wissam Boustany, at the Chronic Care Center. Regional Symposium “About Thalassemia” at the Auditorium of the Center. Conference on “Well being”, at Mont La Salle College. Fundraising Dinner, at Emirates (Abu Dabi and Dubaï). medication, healthy diet and exercise, create together a powerful synergy for managing well Diabetes. Can I prevent type I Diabetes complications? Can Type 1 Diabetic patient live normal life? Yes of course. Type 1 diabetic can live a normal life, get married and have children. Does Diabetes affect school performance? No. with well controlled Diabetes we can live a normal life, pursue education & have good academic achievements. How can we manage type 1 Diabetes? Diabetes medication, healthy diet and exercise: together they create a powerful synergy for managing well Diabetes. Can I prevent Type 1 Diabetes? Don’t worry, Diabetes is not contagious it cannot be transmitted from one person to another. I have Type 1 Diabetes will my children be diabetic too? The parents can transmit a genetic predisposition to Diabetes for their children. In the general population, young person has 0.5% risk to get type 1Diabetes. If the mother is diabetic this risk becomes: 1.3 %- 3.6%. If the father is diabetic this risk will be: 3.6% - 8, 5%. My friend just got Diabetes. Can I play with him? Sure you can. Diabetes is not contagious like Flu or cough. It is important to transmit this message to your friends and classmates. If I feel symptoms of hypoglycemia can I eat chocolate? If you have hypoglycemia, you have to take simple sugar like candies, juice, and regular sugar, to raise your blood sugar rapidly within 10 minutes. Chocolate needs one hour to be converted into simple sugar, so it cannot help treating hypos. Can I travel if I have Type 1 Diabetes? Yes, sure you can . Don’t forget to keep your supplies in your carry-on bags because checked luggage can be exposed to extreme cold or heat that can spoil insulin. What sports can I practice if I have Type 1 Diabetes? All kinds of non extreme sports . Just check your blood sugar before and make necessary corrections . In case of hyperglycemia don’t exercise if your blood glucose is over 250 and you have ketones. Why insulin can only be taken by injections? Insulin is a protein that can be inactivated by gastric enzymes Studies are in process for oral, nasal or sub lingual routes of administration. Could insulin therapy cause side effects? No, injected insulin is similar to the one secreted by the pancreas in normal situations. No, it is the increase in food intake not insulin per se which cause overweight. Thalassemia is an inherited genetic disease, transmitted from parents’ carriers of specific gene to their children. It is not contagious .It can not be transmitted through blood, air, water, or through physical or sexual contact with a patient. How Thalassemia Major is diagnosed? Thalassemia is diagnosed by a specific blood test named HPLC (high performance liquid chromatography), available at the Chronic Care Center. How many types of Thalassemia do we have? There are 2 types of Thalassemia : -Alpha Thalassemias : HbH disease and Hydrops foetalis -Beta Thalassemias: B-Thalassemia major, Intermedia, HbE/B Thalassemia & B-Thalassemia Minor. How Thalassemia Major is treated? -Regular blood transfusions. -Regular and effective iron chelation . 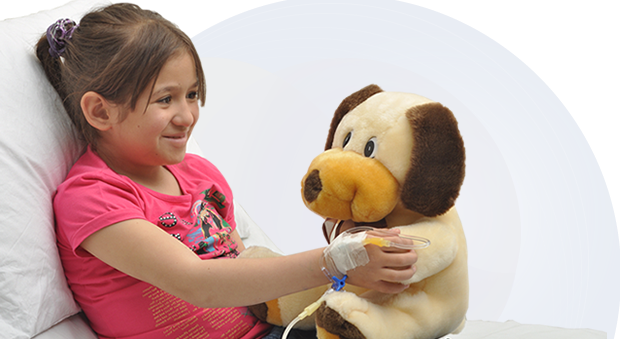 -With Bone Marrow Transplantation (BMT) Thalassemia can be cured. Why does Thalassemia patient needs iron chelators? Thalassemics have iron overload due to the blood transfusions. They need to remove the excess iron from their body by taking medications. How Thalassemics can prevent excess iron? They have to reduce the iron intake from food. Can a Thalassemia patient have a normal life? Yes. With adequate treatment; regular blood transfusions and medications, he can go to school, university, and have a normal life. He can also get married and have children. YES .Thalassemia can be prevented if the couple do the premarital tests including the HPLC to make sure they are not both carrying the Thalassemia gene. At what age should I suspect my child to have Thalassemia? Thalassemia is suspected when the child has severe anemia before one year of age. The pediatrician will ask for blood tests to make the diagnosis. My child has anemia does it mean he has Thalassemia? Anemia does not always mean Thalassemia. During the growth phase, many deficiencies can cause anemia. When you feel your child is pale and weak consult the pediatrician. We have a healthy child. Does this mean we don’t carry Thalassemia gene? It is preferable to do the blood test to detect if you carry the Thalassemia gene before getting the second baby, because if both parents are carriers there is 25% risk of getting Thalassemic child in each pregnancy. I have type I Diabetes, can I get married and have children? Even if you are type I Diabetes, you can live a normal life, get married and have children. You can prevent type II Diabetes by: 1. Losing extra weight. - 2.Making healthier food choices: going for whole grains, getting plenty of fiber and control portions. - 3. Getting more physical activity. It’s too difficult to follow a healthy diet? No. Making food choices for a healthy lifestyle can be very simple. Take the time to enjoy your food. Make half your plate fruits and vegetables. Make half your grains whole grains. Switch to fat-free or low-fat milk. Drink water instead of sugary drinks. How can I control my portions? If you use a smaller plate, bowl, glass and portion your food before eating it, you can avoid oversized meals. Why do I need a healthy diet? Eating a healthy diet helps control your Diabetes and reduce risk of diabetes-related conditions. How can I change to a healthy lifestyle? •Control portion sizes and the total number of calories you consume. •Eat a variety of foods. •Include fruits, vegetables and whole grains in each meal. •Reduce the amount of saturated fat, trans fat and cholesterol. •Limit sweets, salt & alcoholic beverages. •Include physical activity in your daily life. A diabetic diet is simply a healthy-eating plan rich in nutrients and low in fat that will help you control your blood sugar. It means eating a variety of nutritious foods in moderate amounts and sticking to regular mealtimes. It is not restrictive diet and can be the best eating plan for most everyone. I’m diabetic, what do I do to stop weight gain? Eating healthy foods and staying active daily can help you prevent gaining too much weight. -Count calories: your dietitian will help. -Don’t skip meals and avoid extras. -Be active to burn more energy, 3 hours per week are acceptable. -Take your insulin. No. The trouble comes from refined and simple sugars, because they make blood sugar and triglyceride levels rise and increase body weight. Whole grains have health benefits. They are slowly broken down and absorbed in the gut, which makes diabetes easier to manage. Can I eat as many carb-free foods as I want? No, you can't eat unlimited amounts of foods just because they're free of carbohydrates, they still have calories. The best way to control the number of calories is to choose nutritious foods and control portion sizes. If I’m diabetic, can I substitute honey for sugar? Both honey and sugar will affect your blood sugar level. If you prefer the taste of honey, go ahead and use it in moderation and be sure to count the carbohydrates in honey as part of your diabetes eating plan. If I’m diabetic, can I eat sweets? Yes. Just remember: •You can substitute sweets for other carbohydrate containing foods. •You can eat sweets as part of your meal, your blood sugar won't rise too rapidly. •Don't overdo it. They are high in calories, fats and simple sugars and lack nutrients. Can I use sugar-free products freely? Use sugar-free products with caution. The sweeteners in sugar-free products still contain calories and must be counted in your daily totals. These foods may be high in fat, too. Yes. They don't affect blood sugar. But remember, other ingredients in foods containing artificial sweeteners can affect blood sugar. Be cautious with sugar alcohols - mannitol, sorbitol and xylitol they can increase blood sugar and cause diarrhea. Why do I need to eat fibers? Fiber can help control blood sugar levels and decrease the risk of heart disease. Foods high in fiber include vegetables, fruits, nuts, legumes (beans, peas and lentils), whole-wheat flour and wheat bran.